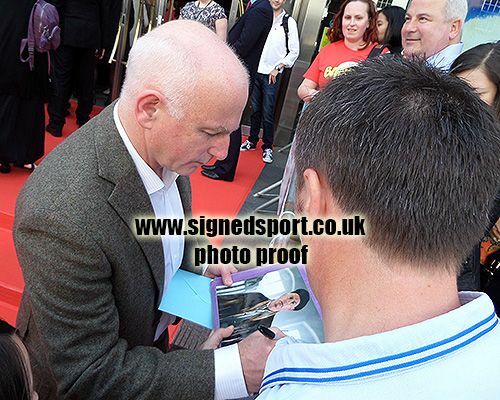 Gary Lewis Scottish actor signed 12x8 inch photo. 12x8 inch colour photo personally hand-signed in black sharpie pen by Scottish actor, Gary Lewis. Lewis is known for his film roles in My Name is Joe (1998), Billy Elliot (2000), Gangs of New York (2002), Neds (2010) and Filth (2013).